In a room filled with independent filmmakers and journalists, the 2018 News and Documentary Emmy Awards ceremony was a night to remember. 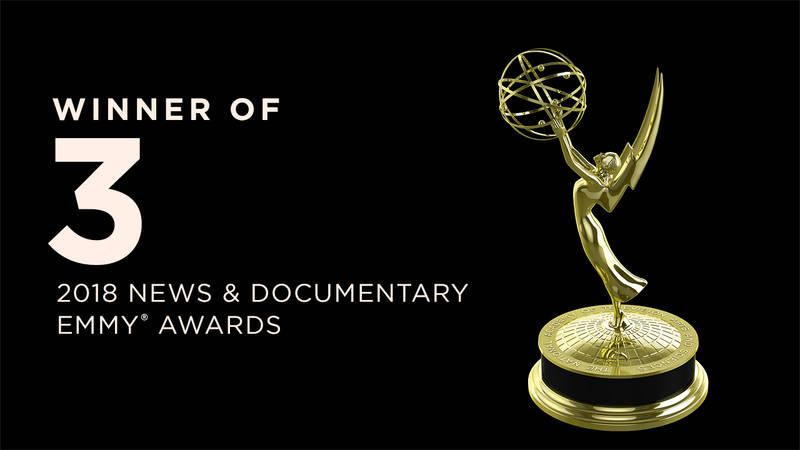 ITVS received three Emmy awards: Forever Pure (Independent Lens) for Outstanding Politics and Government Documentary; Abacus (FRONTLINE) for Outstanding Business and Economic Documentary; and TOWER (Independent Lens) for Outstanding Historical Documentary. Our esteemed nominees included Farewell Ferris Wheel, SEED: The Untold Story, National Bird, The Witness, The Bad Kids, Almost Sunrise, Birth of a Movement, and Deej. Among the night&apos;s incredible acceptance speeches, watch TOWER director Keith Maitland&apos;s below.